The perfect accessory for toddlers on the go, it’s suited for smaller kids & can easily hold their favorite toys, books & stuffies. 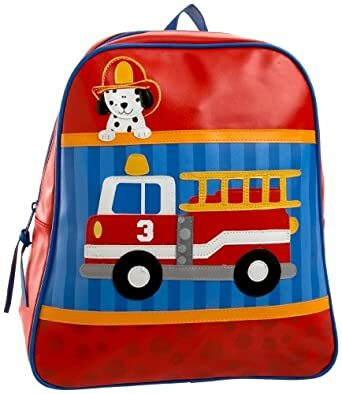 it’s kid tough & features embroidered designs with a fire truck, dalmatian dog & kid friendly patterns. Stephen Joseph Fire Truck Boy’s Go-go BagBuy It!